When imagery for the Nike x OFF-WHITE ‘THE TEN’ collection first surfaced, many people were surprised (and excited) to see the Converse Chuck Taylor included. 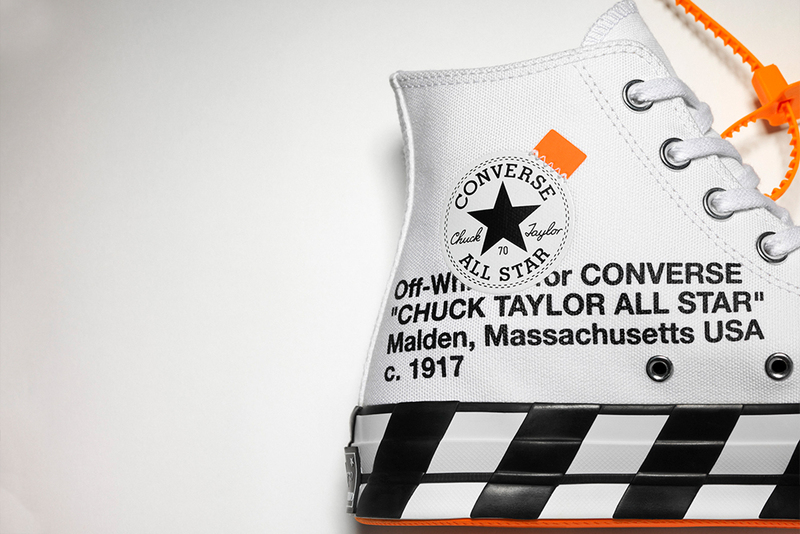 Then when the OFF-WHITE Chuck Taylor received a release date separate to the rest of The Ten, the buzz grew, leading to it being one of the most coveted shoes of the collection. While it may seem out of place at first, the Converse Chuck Taylor more than deserved to be included in the list of iconic silhouettes. First introduced in 1917 as a basketball shoe, the Chuck Taylor has gone on to make a big impact among the sneaker scene and in popular culture, becoming one of the most widely recognised shoes on the market. 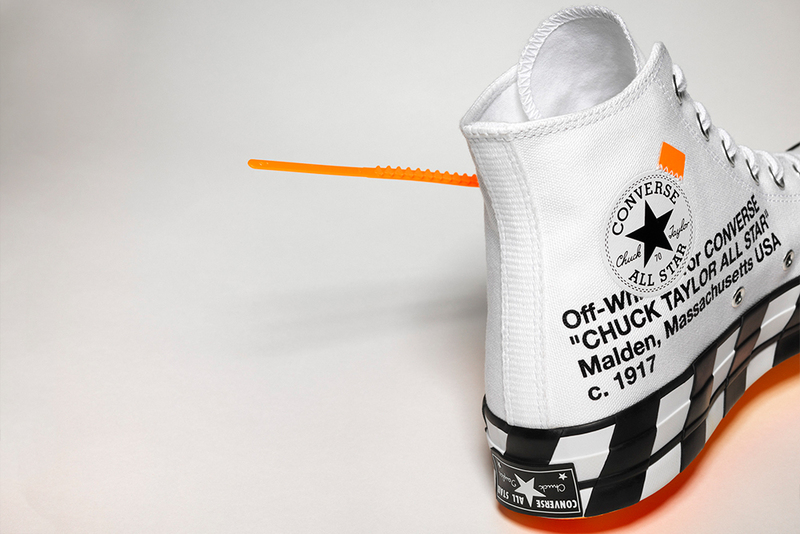 Now, only a few months after the first release, another iteration of the OFF-WHITE Chuck Taylor is set to drop. Whereas the first collaboration took the shape in a more futuristic direction, the next one looks to the past, and keeps the materials and look OG. 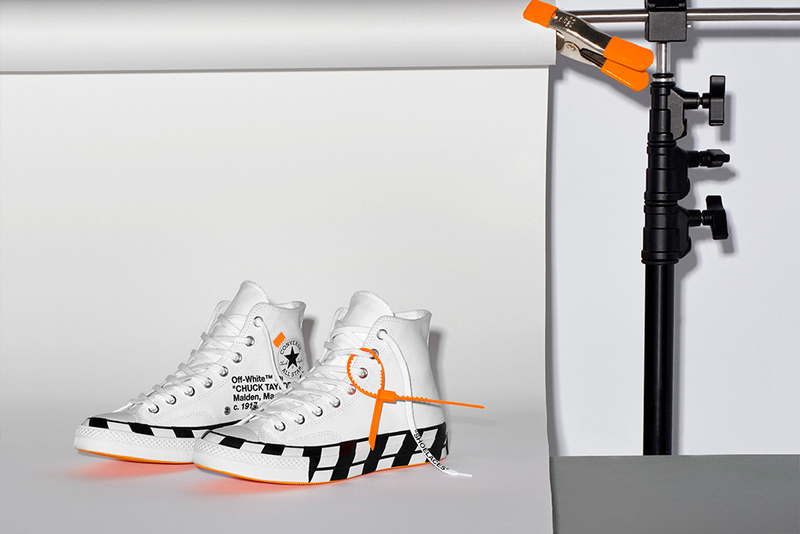 The OFF-WHITE x Converse Chuck Taylor 70 features a classic canvas upper, deconstructed branding, inverted heel tabs and the instantly recognisable zip tie affixed to the left shoe. 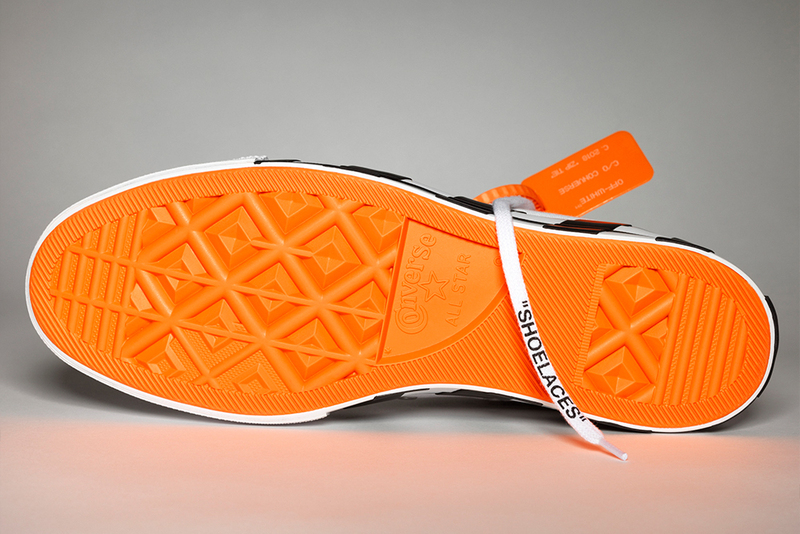 By far the most notable addition is the variation of the OFF-WHITE Crosshatch pattern which is printed along the outsole. 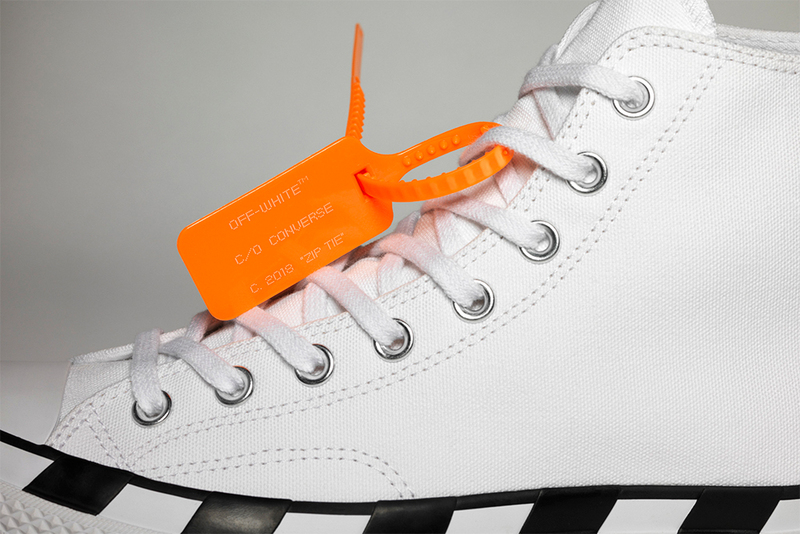 The OFF-WHITE x Converse Chuck Taylor 70 raffle is now SOLD OUT.